We love a classic tale of love reunited, and that’s exactly what this adorably easy-going, casual outdoor engagement session with Virginia Ann Photography brings us! Caitlin and Lawrence chose to keep their photos totally unfussy with the great outdoors as their backdrop at the Cibolo Nature Center. 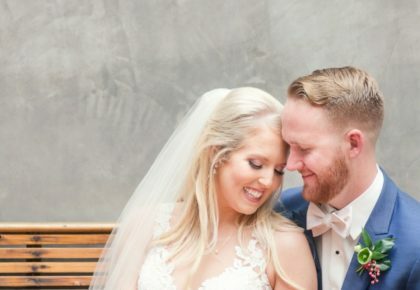 Their love for each other clearly shines through in every image, it’s no wonder this bride-to-be had an early instinct of knowing they’d one day be together! 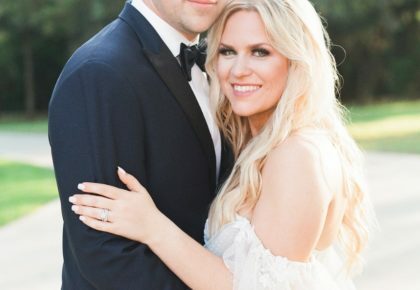 Check out these darling images and read more on their sweet love story below! 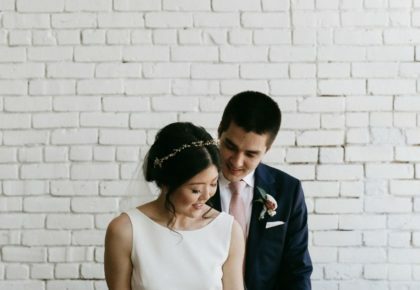 Having attended the same high school but only overlapping in Caitlin’s freshman and Lawrence’s senior year, this soon-to-be bride was completely smitten with her financé from the moment they met. Time took them away from one another, but by ironic chance, the two were reunited at a friend’s soccer game in 2010 and have been completely inseparable ever since! Fast forward to more recent times, the couple took a little trip away to visit Lawrence’s family’s river house in Concan, Texas. Dragging an unsuspecting Caitlin to the top of a hill (in her pajamas, no less), this sweet groom-to-be got down on one knee and asked for Caitlin’s hand, to which she of course replied yes! Just a couple of weeks away, this duo will be married on March 30 at The Chandelier of Gruene with their closest family and friends present! The wedding will have an undeniable vintage feel, with nearly 90% of the decor being treasures from family collections. Similar to their engagement, simplicity will be a key player in the look of the wedding, using minimal floral pieces like eucalyptus plants. Another sweet touch to their upcoming nuptials is the memory table that will feature photos and memorabilia of loved ones who would not be here to see their special day. We love their idea of adding so many special and personal touches to a day to remember forever! Cheers to these two!